High Tide at Luhrs City Center to invest in qualified innovators, providing office space, living expenses and the resources to help grow startups quickly. Hansji Corporation, owners of the iconic Luhrs City Center (LCC), the revitalized historic block in the heart of downtown Phoenix, is excited to announce a partnership with Scottsdale-based new venture company Tallwave to launch High Tide at Luhrs City Center. A national startup commercialization program that enables entrepreneurs to build their products and take them to market faster, this program is offering up chosen applicants hands-on professional training, the use of complimentary office space inside the LCC, a monthly $1,000 cash stipend for living expenses and complimentary hotel space (if needed) to quickly and effectively grow their ideas into viable, scalable and sustainable companies. High Tide at Luhrs City Center is setup in three phases: application, validation and acceleration. For the first phase, launching January 14th and running through February 28th, applications are being accepted at http://luhrshightide.com and require the submission of an AngelList profile. Tallwave will select up to eight startups in late March 2015, move them inside the custom workspace on the third floor of LCC, and work intensively on filling critical gaps in their business – product/prototyping, user validation, positioning, sales systems, and go-to-market. Once complete in June 2015, there will be a Demo Day and Final Pitch Event where the entrepreneurs will get to present their companies to an audience of investors, influencers, and business leaders. 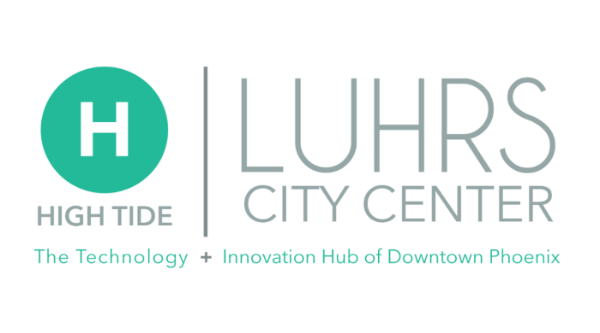 Luhrs City Center continues its pioneering tradition by housing Tallwave’s High Tide program, bringing innovation, energy, and the entrepreneurial spirit to the core of downtown Phoenix. The partnership celebrates both the ongoing revitalization efforts and the multiyear, multimillion-dollar restoration effort to artfully enhance this landmark block located between Central and First Avenues & Jefferson and Madison Streets (45 W. Jefferson, Phoenix) into something iconic for years to come. The Luhrs City Center includes the neoclassical Luhrs Building (1924), the 14-story Art Deco Luhrs Tower (1929), plus a two-story Luhrs Arcade connecting both high-rises, the 19-story Luhrs City Center Marriott (coming 2016) and an on-site six-level parking garage. Hansji is an award-winning full service developer that focuses on the acquisition, development and management of premier real estate in primary markets. Over the past 40-plus years we have developed more than two million square feet of award-winning office, retail and hotel space. More information can be found at www.hansji.com. Founded in Scottsdale, Arizona by former senior executives from Google, Yahoo!, Microsoft, and iCrossing in 2010, Tallwave helps startups build their products and take them to market. This is Tallwave’s fourth High Tide program. Previous High Tides have included dozens of companies spread across the country. More information can be found at www.tallwave.com.